A new offering from MakerBot aims to serve as an experimental platform for creating, building, innovating and collaborating with 3D printing. MakerBot Labs is a sandbox for designers and engineers that includes customizable hardware and software with open APIs, custom print nodes and more. 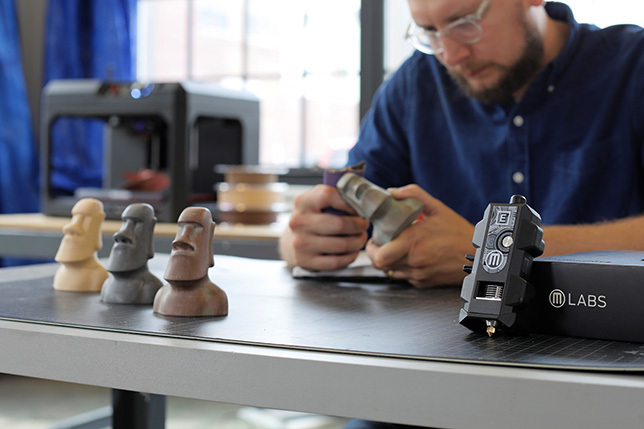 "We're introducing this new, more open platform as a direct response to our advanced users calling for greater freedom with materials and software," explained MakerBot CEO Nadav Goshen in a statement. MakerBot Labs API, giving developers the means to interface with and expand the capabilities of MakerBot 3D printers. For more information, visit the MakerBot site.